Malcolm Archer, 66, has been summonsed on one count of indecent assault and one of gross indecency. The alleged incidents took place in the 1970s. 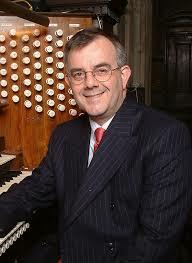 Archer was director of music at St Paul’s Cathedral, 2004-2007, and a respected composer of some 200 published works. He was director of chapel music at Winchester College from 2007 until his retirement this year. Presumptions of innocence apply, but no one wins the trial by media. There is no way a 40 year old allegation will be able to be proven or disproven. Er…he does not have to “disprove” the allegation. Rather those accusing him will have to prove he is guilty. But, a trial would mean there is a case to answer. Again, that does not mean guilt, it still isn’t proven. And, absolutely, it will be difficult to establish a defence about something that is “alleged to have happened” forty years ago. Trial by media really means trial by the readers (e.g. you), making judgements without the facts. So, in your own mind, don’t find him guilty and respect the decision of the trial. Absurd and sladerous. Old allegations seek money that is not there.